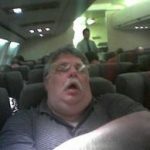 There are so many different varieties of snoring mouth guards available in the market today that it becomes quiet difficult to have a review on each of them. One has to create a novel to share the benefits of so many anti-snoring mouth guards differently. So to make it easier and informative these guards could be classified on the basis of their material and design used in making. These guards are also known by the term oral appliances and can be classified among three different categories. These are mouthpiece made from thermoplastic vinyl, non-thermoplastic vinyl and the ones made with acrylic. When you have a snoring problem and you are not able to get relieve from the snoring mouth guards available in the market than you often go to your dentist. An ENT specialist may be able to help too but a dentist will make appropriate decisions regarding the design of your snoring mouth guard. The oral appliances made by dentist are generally of acrylic material. Acrylic material has been known for its flexibility and durability. It easily takes the impression of your mouth and fits accordingly. You should not overstress the acrylic material too as it might break or develop a crack. Also there has been a constant shift from acrylic material to non-thermoplastic vinyl material. They are much stiff or you can say heavy duty material. These are generally made in the dentist laboratories. 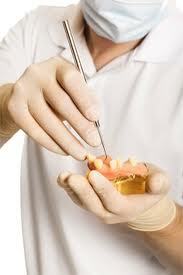 Dentist will just take the mold of your teeth and will have the mouthpiece ready within a day or two. 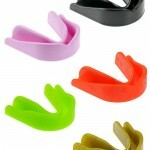 Many of us depend upon internet to purchase the snoring mouth guards. Online market provides great number of varieties both in quality and price wise. Most of the online mouthpieces are made from the thermoplastic vinyl or non-thermoplastic vinyl material. Non-thermoplastic vinyl guards are hard textured and may not be suitable for each and every person. The concept these internet seller have is that one size fits all but it becomes very painful to have an oral appliance that does not fit into your mouth in its best manner and you still suffer from snoring. 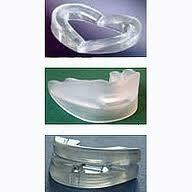 So having an acrylic anti-snoring mouth guard is a better choice depending from person to person. A lot of internet sellers try to sell thermoplastic vinyl material too. They are usually worn by first boiling it and then have a bit to make an impression and let it cool. These fight tightly with your teeth and sometimes it becomes very irritating and frustrating as you are not able to adjust them. 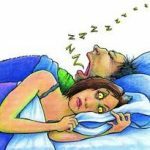 With the passage of time, it has been noticed that most of the snoring mouth guards works well for most of the people suffering with snoring problem. There are always pros and cons attached and there have been some negative comments too. These are mainly because of the material these oral appliances are made up of. The two most frequent side effects that people have complained about are the saliva excessiveness and dryness of the throat. 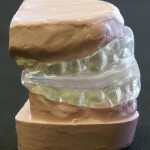 Snoring mouth guards may not fit all and snoring problem is not a common phenomenon. It varies from person to person and if you are not able to get desired result from these mouthpieces than it’s always better to go for some other treatment like CPAP or in the extreme case have a surgery.